I recently perused my way through some old wine magazines I had laying around the house and came across a February 2010 edition of Wine 100. The magazine describes itself as ‘Australia’s leading independent wine guide’, and employs some highly regarded wine reviewers. 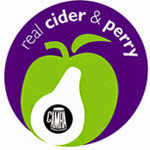 I stumbled across a cider article written by the Editor, Penny Boothman titled ‘Cider with Rose’. I remember reading this article back in 2010, and simply thinking not much of it as the Australian cider revolution had not poked its head out of the mystical clouds yet. Down the track 2 years later, there was one sentence which really caught my eye and made me think. It basically described the current cider scene in Australia (in 2010) as the ‘big brewers’ producing the majority of the cider, with only a few wineries beginning to get in on the act. The few pioneering wineries mentioned were Napoleone, Bress and Kellybrook which all hail from Victoria. The number of wine producing companies making cider two years ago could have all been counted on one set of hands. Winding the clock forward to 2012 into 2013, now sees a totally different, new, exciting and innovative picture with countless wineries jumping on the cider phenomenon. So what’s the fascination with Winemakers and wine companies with the humble cider? Just quickly, for all you smarties out there saying, “hey, but aren’t you a Winemaker?” Well yes I am, but cider is part of the reason I got my degree, and the relevance between wine and cider is very similar as I will discuss shortly. Straight off the bat, Winemakers love to make booze. It’s in their DNA, it’s their life and their passion. I don’t know a Winemaker who is genuinely not interested in other forms of alcoholic beverages such as beer, cider or spirits. The curiosity is enough to attract any Winemaker into dabbling in a new, unexplored product. The article in question mentioned that cider is being added to cellar fridges in wineries to help quench parched individuals after tough 12 hour slogs during vintage. But cider is now well and truly filling up the whole winery cellar fridge. Beer is taking a step back, with cider hip and shouldering its grainy hopped cousin out of the fridge all over Australia and into the hearts of the consumers. Ciders made from wineries I believe have huge distinct advantages marketing wise. The ciders are somewhat riding the coat tails of the parent wine company, which in turn gives the cider precious exposure. In the case of an average consumer trying to decide between two ciders in a bottle shop, the more recognised, trusted and consistent brand will always win out. Wine producers have these characteristics, hence giving their ciders a real free kick, in terms of market share and exposure irrespective of whether the cider is a dud. This is all thanks to the marketing and sales divisions of a wine company which get the product out and market it aggressively (especially with summer just around the corner). The nitty gritty of cider making is somewhat a diverse and endless affair to say the least. Wineries have the equipment, technology and resources to make quality cider, but the difference I like to stress is that they can only make more. What I mean by this is cider making is in all correctness, a traditional product. Yes cider can and should evolve over time, and become accustom to its surroundings, but bastardising this modest beverage should be fraught with care. Traditionally it’s made with a hands off approach, requires little or almost no energy input and variable in its results. So the point I am trying to make is cider can be made just as good, or even better in a small shed in the middle of dingo woop woop, as apposed to a large, modernised winery. It’s just the scale, which is the defining and significant factor – just look at the small farmhouses in north west France. 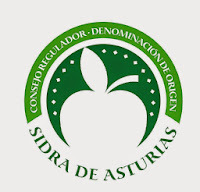 However in saying this, it is much harder for an entrepreneur or cider enthusiast to begin his or her own cider company; with tonnes of know how, equipment and money needed to sustain itself realistically. All which wine companies have! Wineries are well equipped with the facilities which aid in the processing of apples and pears. The production of cider is very similar in procedures to white wine. Milling is as simple as purchasing the right machine, which in a larger scaled winery is money which can be found in the back pocket. The pressing of the fruit is often carried out in larger basket presses which are used normally to press out the grape skins once fermented. 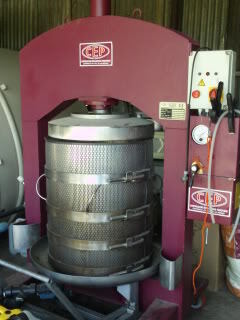 Membrane presses which are found in wineries are also commonly used. Other essential factors like electricity, water, forklifts, manpower, pumps and pomace removal are all unlimited in a winery setting. Post pressing, stainless steel tanks with temperature control systems are often used for fermentation, which help produce a cool ferment to ensure fresh and aromatic cider. Wineries also have large amounts of oak, such as barriques (225L) or hogs heads (300L) which can be used as either a fermentation or storage vessel. Post ferment, filtration, carbonation and bottling can either be done on site, or trucked to the nearest bottling plant for quick and swift bottling. The cider made in a winery can have a turn around from raw fruit to bottled cider in around a month or so. So what does a Winemaker have in his/her arsenal of tricks which can relate wine to cider? · Sugar Levels? – Dry, Medium Dry, Off Sweet, Sweet, Very Sweet? · Tank ferment or Barrel Ferment? · Cultured yeast or Wild Yeast? · Lees Contact or Fresh and Clean? · Artificially Carbonated or Bottle Conditioned? · Cloudy or Filtered? – Membrane Filtered or Pasteurised? · Tartaric Vs Malic Vs Citric – Malic in Apple, Citric in Pear, Tartaric in Wine. · Real Fruit or Concentrate? - Alcohol Level? · 750mL or 300mL Bottles? – Cork, Crown Seal? These are just some of the technical similarities between wine and cider, which a Winemaker can take advantage of. But hopefully what you can see is that these similarities are the catalyst for wine companies to produce cider. The current production line process of, juice, ferment, filter, carbonate and bottle is cheap, relatively easy and a very fast way to make cider. Happy days for all concerned right?! – Questionable. But wineries have the time, the resources and relative experience to experiment with differing styles. This is the case with a select few who are trying to create new and exciting products which are fighting the norm – to the acceptance of the new, inexperienced Aussie consumer? It remains to be seen. Is the ever growing number of new ciders coming out of wine producing companies a bad thing? Definitely not! Would you rather a new mass produced cider made from concentrate from the big brewers? Hell no! It’s the attention to detail, the growing knowledge and the constant battle to itch the proverbial scratch of a Winemaker which helps make good and innovative examples of cider. I would also like to note the small boutique brewers of Australia also making quality ciders. All heroes in my eyes.